Even without wild, rose-tinted glasses, it’s easy to see how Elton John’s outsized personality and stage presence influenced multiple generations of pop performers. 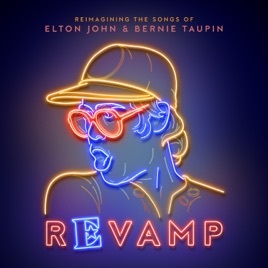 Revamp shows the debt contemporary stars owe to Sir Elton and his songwriting partner, Bernie Taupin. Florence + The Machine’s gentle yet muscular rendition of “Tiny Dancer” raises goosebumps, and Lady Gaga’s emotional take on “Your Song” is absolutely devastating. While “Candle in the Wind” fits Ed Sheeran like a custom Italian suit, Revamp isn’t a bunch of faithful covers—P!nk and Logic (“Bennie and the Jets”) and Q-Tip and Demi Lovato (“Don’t Go Breaking My Heart”) have fun with the format, injecting hip-hop and jazz notes to make the songs their own.